Every year a handful of big budget films are released and smaller indie films get released under similar titles in hopes of capitalizing on those who think they’re getting something else. Mummy Resurrected seems to have been rebranded Pet Graveyard nearing the release of the highly anticipated remake of Pet Sematary. 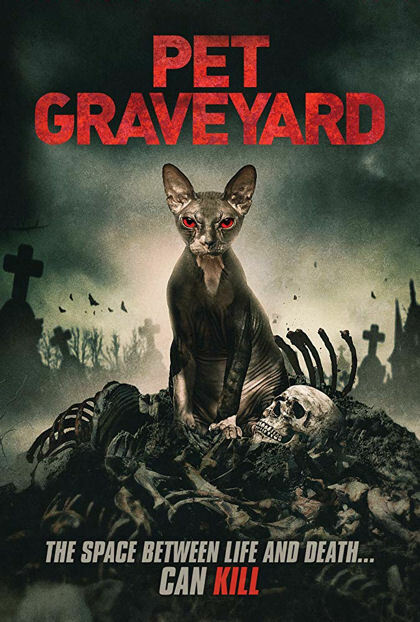 Like Pet Sematary, Pet Graveyard is directed by a woman in Rebecca Matthews but this isn't a Stephen King tale, instead being written by a fellow female Suzy Spade in her second feature. This tale isn't about a graveyard that resurrects people or even an undead cat, the story instead mimics Flatliners, bringing people back from the dead only to be chased by death. Instead of a medically monitored, assisted suicide, Pet Graveyard goes bag over the head murder. Then the grim reaper follows you back from the afterlife. This simple, low budget British film has good effects, disjointed storytelling and is just as slow paced as I find a lot of Brit-flicks to be. Completely misrepresented, if you think your dollars are being spent on a Stephen King story, your money will flatline.